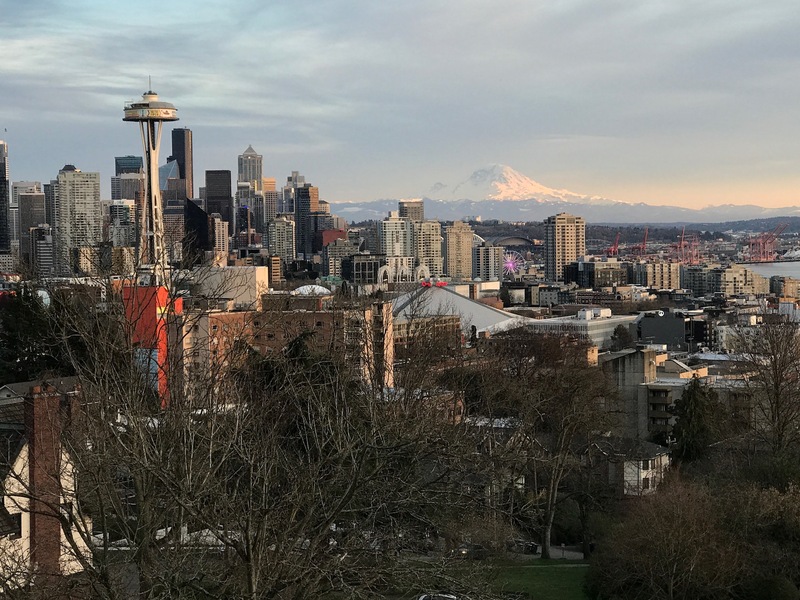 After a long flight and a quick trip to Kerry Park to snap the picture (below) of Seattle’s iconic skyline, I was ready for ramen! After being mesmerised by the view for a while, I turned to trusty Google Maps to find the nearest place that took my fancy and set off in the direction of the hipster-lite Belltown district. I initially walked past Karaage Setsuna, I paused briefly to look at the menu, but decided to see what else might lie around the corner, but I soon doubled back. I think it was the smell of fried chicken that did it. This is not a fancy place. The kitchen storage is in the restaurant, brooms and mops are scattered about. This is an authentic neighbourhood restaurant. Karrage Setsuna roughly translates as “a moment of fried chicken”. Therefore it was a given that the signature chicken dish would be my starter, I added a side of spicy mayonnaise and chose the Ra-Min noodles (which I assumed to be a typo). The noodles arrived first. A little on the watery side, rather than the thicker tonkotsu broths that I’ve come to prefer, but still very tasty, and the paper-thin slices of red onion added a crunch and a sweetness. My only comment was there was slightly too much coriander, which made it feel a bit more like pho than ramen. That said, this restaurant pitches itself a Japanese-Hawaiian fusion, so a bit of a twist was to be expected. The chicken arrived and was piled high. The chunks of thigh meat were a little larger than bite-sized, which made eating them tricky, but perhaps that says more about my chopstick prowess. The coating was salty and crispy, with the spicy mayo adding a good amount of heat. 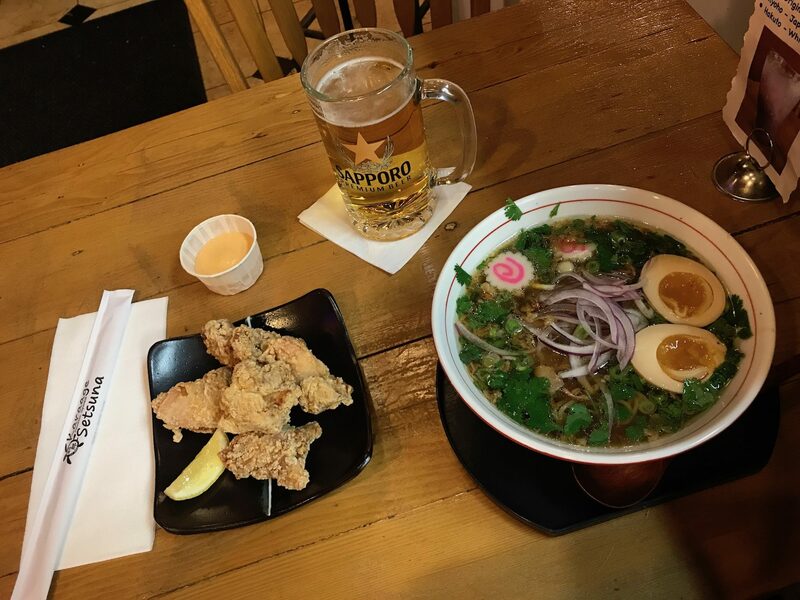 There were other lone diners in the restaurant, which made me feel less awkward, and there is something very normal about eating ramen alone. I have to also commend them for the addition of Narutomaki into the noodles. I always see the white and pink swirly fishcake always as an indicator of quality (even if I don’t know what it;s made of!). I award Karrage Setsuna a grand total of RAMEN (4 out of 5), a thicker soup and this would have tipped into a 5.